By now the state media has spread the word the ODFW Coastal Multi-Species Conservation and Management Plan (CMP) was approved. However, what was not in most press releases: The harvesting of winter steelhead in the Umpqua Basin was REMOVED from the plan! Hmmm? Wonder how it happened? The ODFW will be seeking revenue to help close a projected $32 million dollar shortfall in the 2015-17 budgets. All possible options are being evaluated from increasing license and tag fees, cutting staff, and asking for more money from the state general fund. The commission has a tough job ahead to implement the CMP plan while facing budgetary challenges. One of the key presentations during the meeting was the request for the “monitoring budget” to be approved for the CMP plan. We shall see what lies ahead. 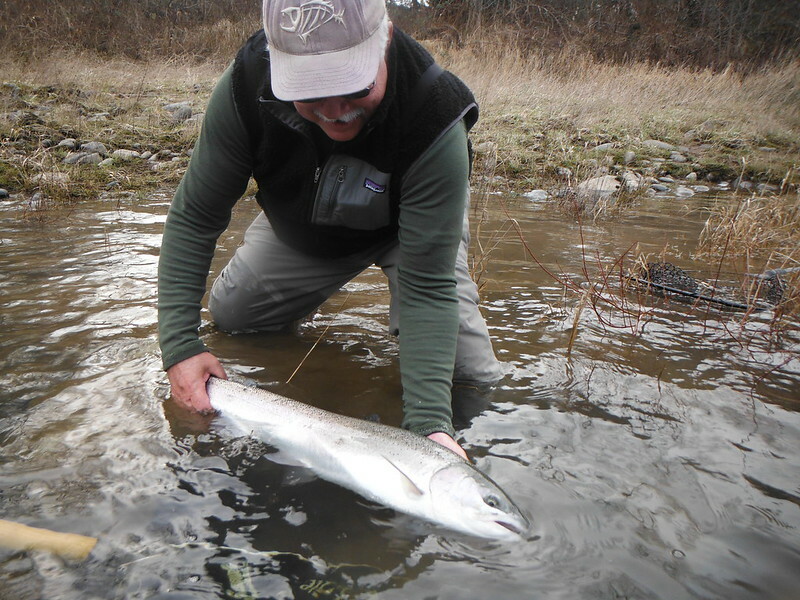 Meanwhile, every time we release one those winter Umpqua steelhead, smile a little wider! This entry was posted in Oregon Conservation News. Bookmark the permalink. That’s great news! I’m glad to hear we were able to protect the Umpqua river basin steelhead. I couldn’t attend so I sent an email.